Over a year ago, I wrote an article called, “Introverted and Intuitive? Why the Writing Rules Probably Don’t Work for You.” I got an overwhelming response from readers. In fact, I’m still getting emails about it. 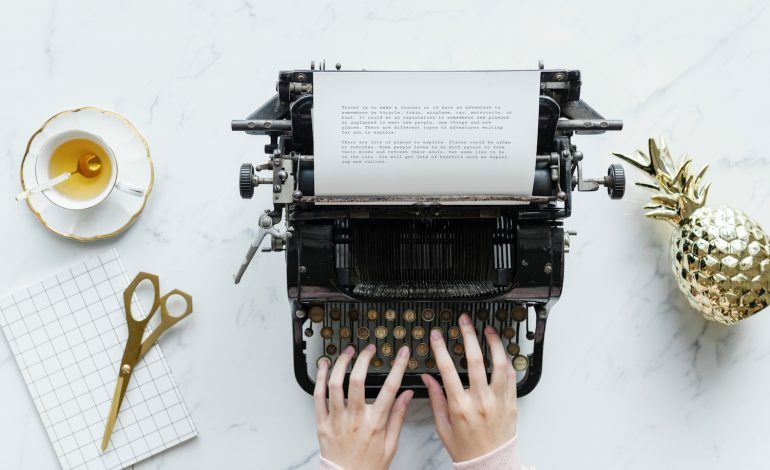 Apparently there are hundreds of writers out there who run into difficulties when they try to outline their novel, plot the plot, or follow any sort of predetermined method of creation for their characters. What’s really interesting is that the majority of writers who have reached out to me to say my article struck a deep chord have been INFPs. This comes as no surprise. I’m a writing coach, and over half of my clients are INFPs. I see the same challenges crop up for them again and again, and there are three big ones that it seems no INFP escapes. I cover this in-depth in the chapter on INFPs in my book, The INFJ Writer, but I want to give some excerpts here for any INFPs who need some quick-and-dirty help. Here are three reasons INFPs have trouble writing, even though they love it. 1. They don’t think in a linear way. Writing in chronological order tends to be difficult for INFPs. As intuitives, their brains see underlying patterns and the big-picture view. And these patterns and this picture don’t always surface in a neat and orderly package. Overwhelmingly, INFP writers told me one of their biggest challenges was the non-linear way their brains work. Starting at the beginning, then writing the middle, and then finishing up with the end is simply a plain impossibility for most INFPs. However, because most INFPs have gone through the standard educational system, they’ve been taught that chronological order is the right way to do things. They’ve been convinced that the way their minds work is weird, or ineffective, or hard for others to follow. This results in many INFPs trying to force themselves to work on projects in some sort of order that only brings a disastrous outcome. When INFPs push themselves to work in a way that runs counter to their natural wiring, they find themselves near tears, paralyzed, and suffering from lower self-esteem than ever before. Usually at this point, they give up on writing their story. I find that I am completely unable to do linear chronological order. Everything about writing is a mystery until I know for certain what it is. Usually, there is an image or a sentence or a sound or an impulse that will open up a scene or moment of the book for me. Often, I will have to go wandering for a long time until I find the piece that connects with it. Then I have to go back and find out how they are related. The problem with this approach is that every time I go to revise, I feel like I’ve just made cake in the kitchen on the floor and forgot to use a bowl. There is no structure, no container — just mess. I have to sit on the floor and sort out what is egg, what is cat litter, what is dust bunny, what might be part of a different cake, what belongs, what doesn’t. I keep telling myself that I’ll use a bowl next time, but I can’t seem to. 2. They struggle with self-doubt. This one might be the toughest for INFPs. They hold themselves to the highest ethical and artistic standards, so they’re particularly prone to struggling with their inner critic. I doubt everything, whether I am worthy of making words, whether I will write well enough, whether I will ever have another story, whether I am taking up too much space, whether it matters, whether I should be doing something more useful to the world (somewhere, there must be a kitten up a tree), whether I have the right to write. I believe so many INFPs struggle with extreme self-doubt because, simply put, it’s damn hard to be an INFP in our current culture. Every one of their four letters is the opposite of what the mainstream values. INFPs are introverts in an extroverted world. They are intuitives in a culture where “reality” is decided almost solely by what information comes through the five senses. They are feelers in a society that relies on rational thinking and frowns upon emotion-based judgment. And last but not least, they are spontaneous dreamy soul-seekers in a world where time is money and people measure their worth by the length of their to-do list. No wonder INFPs have a difficult time believing in themselves. 3. They need time to get in the right mindset for writing. Working against the grain in a nonlinear manner, combined with the tendency toward extreme self-judgment, brings us to the third big obstacle INFP writers face: procrastination. When put in place by a compassionate mentor or teacher, deadlines can greatly help the INFP finish their writing projects. If they feel that someone else is counting on them, this can act more forcefully as a motivating agent than anything else. This might be due to the interesting relationship most INFPs have with time. The INFP writers I interviewed said they struggled the same amount with too much time, or too little. I need a lot of time just to get myself settled in a space of writing, for my psyche to land. The presence of most people makes it impossible to get in the zone because I keep anticipating that they will speak, even if they promise not to. I can also circle my chair for hours, never sitting down. INFP writers have the most success when they are given large blocks of time to work uninterrupted, paired with a reasonable deadline to work toward. INFPs set incredibly high standards for themselves, and they may have a somewhat unrealistic idea of the amount of work they should be able to get done in any given amount of time. So if the assignment is to write a 25-page story from start to finish within a two-week deadline, the INFP will usually push the writing off until the last day or two — then scramble madly to finish. This is why I hold a different set of expectations for my INFP clients than they do for themselves. I give them the 25-page story assignment and tell them to finish in two weeks — but I only really expect that they will make a good beginning on it. This is because intuitive writing takes time, and two weeks is barely a drop in the bucket. If any of my clients makes a good, solid beginning on a short story draft in two weeks, I’m highly satisfied with their work. The INFJ Writer deals with these three big issues for INFPs, as well as a host of other difficulties all intuitive writers struggle with. In addition to chapters on perfectionism, Sensitive Intuitive self-doubt, and forming your own writing group as an introvert, The INFJ Writer also includes chapters on ENFP and ENFJ writers. You can buy the book on Amazon here. This article was originally published on LaurenSapala.com. It is republished here with permission. Why Do INFPs Jump From One Thing to Another?